Rapper Snoop Dog is getting heat for his endorsement of the soon to be released alcopop ‘Blast, by Colt 45’ which critics say targets underage drinkers. One can of the soda lookalike, 12% alcohol by volume Blast contains as much alcohol as 4.5 cans of beer. 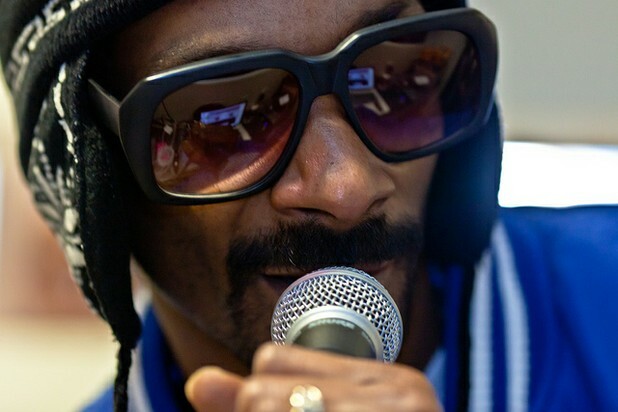 Alcohol industry watchdog, The Marin Group, says Snoop Dog is using his influence with youth to help sell Blast, a juice flavored alcopop with a whopping 12% alcohol by volume, to underage consumers. In a statement, Marin CEO Lee Levingston derided the product, saying, "While the federal government was shutting down dangerous caffeinated alcohol, Pabst Brewing Company was cooking up 'Blast,' a super sweet, fruit-flavored, supersized alcopop containing as much alcohol as four and a half cans of beer. Joose, Four Loko, Tilt, and now Blast are racing to the bottom to harm youth. The Marin Group would like to see California lawmakers ban the drink, which they call dangerous and similar to now federally banned drinks like Four Loko. Blast, which is scheduled for release next month, is sold in 23 ounce cans, each containing as much alcohol as 4 and a half standard cans of beer. The cans feature a bubblegum-wrapper design and sweet juice flavors that mask the taste of alcohol. Among those that hope that Blast never makes it to retail shelves are New York City Councilman Robert Jackson and John Challis of Daytop Treatment Services. Challis argues that the product could easily be confused as a non alcoholic beverage, saying, "You look at this product, and you think it's a fruit drink” and Jackson has already called for an NYC ban on the sale of Blast, with an aide of his arguing, "Blast, along with similar drinks, is specifically targeted to younger people. In the short term, a drink like this masks and shrouds the effects of alcohol. That's dangerous for our young people." Snoop Dog has yet to comment on the criticism of his endorsement. Snoop Dog: Not everyone appreciates Snoop's efforts in marketing the alcopop 'Blast' which critics says is aimed at underage drinkers.